The story of Umbro is currently being told - in shirt form - in its home city of Manchester. A brand forever linked with football in this country celebrates its 95th birthday this year, a perfect time to remember the impact and influence of the double diamond through the years. The last couple of years have seen something of an explosion in the celebration of football shirts as art. The Neal Heard-curated Art of the Football Shirt exhibition in London was staged in 2017 and went on to tour a number of cities, while Classic Football Shirts - the go-to website for retro jerseys - also took the chance to show off some choice selections from their archives in Manchester, New York and Moscow with the Fabric of Football expo. The thirst for retro shirts shows no sign of slowing down. Last summer’s World Cup in Russia saw many teams wearing shirts which were fresh twists on classic designs. When once an old shirt would be derided for being out of date, now it is celebrated as some kind of badge of honour. Events such as this in Manchester, staged by Classic Football Shirts and Mundial, give fans the chance to reminisce and allow themselves to be intoxicated by nostalgia. They also give us the chance to accept we may have got some things wrong too. Goalkeeper shirts which at the time were derided as looking like a tube of Refreshers are now held up as design classics and sell for hundreds of pounds. If only I’d paid more attention to those sale rails in Olympus Sports. Kit nerds like me will always have a soft spot for Umbro. If you’re a 40-something football fan, your first replica kit may well have been made by Umbro and if you were really lucky it came in a Replikit box complete with socks and shorts. Umbro’s own story starts with humble beginnings, trading from a pub in Mobberley before moving into a warehouse in Wilmslow. The firm was soon supplying most teams with kit though there was no sign of the famous double diamond logo until the 1970s. Umbro also signed an endorsement deal with an up-and-coming Scottish lad called Denis Law as they were quick to spot the power of celebrity. Despite not having their logo on show, Umbro enjoyed huge success through the 1960s. Not only did they supply both Manchester United and Celtic as they claimed European Cups they produced the England kit worn during the triumphant World Cup campaign of 1966. Through rapid changes in fabric technology, the designs of the 1970s became altogether more colourful and saw the incorporation of club badges and logos onto shirts. In an increasingly crowded marketplace with the likes of Admiral and adidas battling to add more clubs to their stables, Umbro continued to prosper, supplying the majority of English clubs and winning back the contract to supply the national team ahead of the 1986 World Cup in Mexico. When the sportswear as fashion movement of the 1980s gathered pace, sportswear firms were able to diversify into training gear, tracksuits and leisure wear. 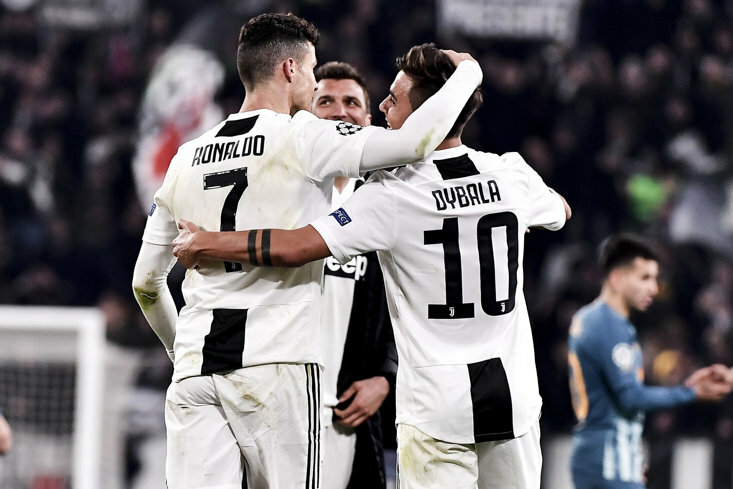 They may not have had the cache of adidas, Ellesse, Kappa or Lacoste but their unbreakable connection with football made them utterly endearing. One of the biggest coups for Umbro was winning the contract to supply Manchester United after many years with adidas. This coincided with the most successful period in the club’s history and provided many of the most celebrated shirt designs of all time such as the green and yellow halved Newton Heath inspired away kit and the black Sharp Viewcam design immortalized by Eric Cantona kung-fu-kicking a Crystal Palace fan in the crowd. 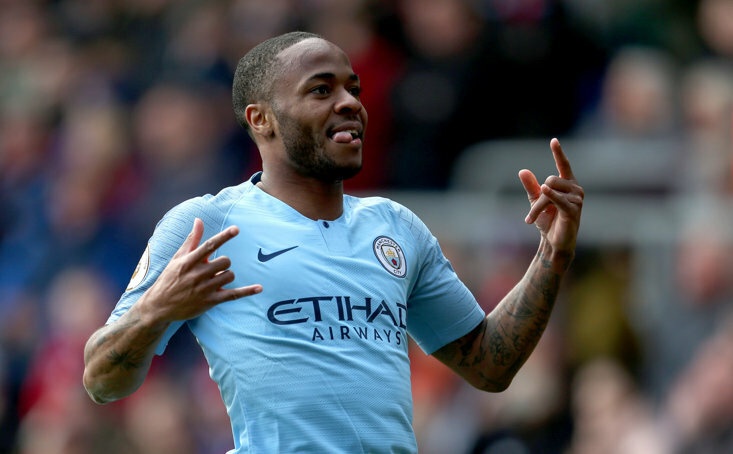 As a long-time supplier of Manchester City, the brand got a further boost from the success of Oasis in the 1990s as they were frequently snapped wearing Umbro gear. Liam Gallagher famously wore an Umbro training top when the band played their unforgettable gigs at Maine Road. This further elevated the brand into part of the pop culture and when the European Championships “came home” to England in 1996, you literally couldn’t walk down a street without seeing Umbro gear. Changes in ownership and the loss of some major contracts saw the brand fall off the radar and the likes of mega brands like Nike, adidas, Puma and Under Armour dominated the landscape. Nike bought Umbro in 2007 - and later took over the supply of the English team - but in 2012 the brand was sold to Iconix Brand Group. Umbro have enjoyed something of a resurgence in recent years under their new owners and have once again become a familiar sight in the Premier League with partnerships forged with Everton, West Ham and Bournemouth. They also have contracts with Hull, Derby County, Blackburn Rovers and Schalke. Making use of the company’s rich back catalogue, the brand has collaborated with other designers including Patta and released modern twists on some of its best-loved designs. Throughout this, the company has never shied away from its Manchester roots and the current exhibition celebrates its rich heritage. A huge mural has also been created in the city’s Northern Quarter, featuring slogans and designs which tie it to Manchester. Visitors to the pop-up exhibition can admire a selection of shirts, training gear and tracksuits from the company’s history as well as being able to view archive brochures and photographs. Umbro’s 95th Anniversary exhibition is being staged at 23A Princess St, Manchester until April 14. Admission is free. 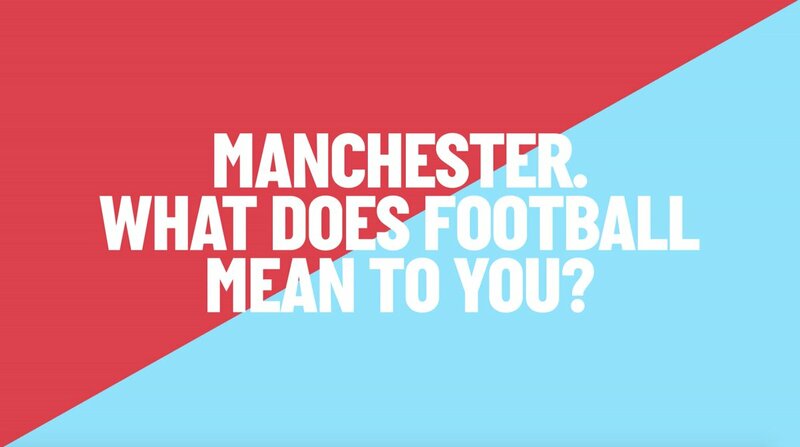 Over the last few weeks, we asked Mancunians “What does football mean to you?”. From hundreds of responses, a final 11 were selected and featured on a 10-meter high mural on the edge of the city's Northern Quarter. Manchester, this is what football means to you.